Brunch favorites like waffles, as well as a complimentary Bloody Mary or Mimosa, will be available at Finley’s Easter Sunday Brunch Buffet. 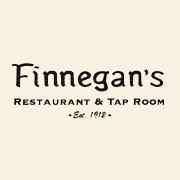 Easter Brunch: Finley’s of Greene Street (43 Green St., Huntington) is offering a special Easter Sunday Brunch Buffet from 11 a.m.-2 p.m. on April 21. The holiday brunch will feature an all you can eat buffet for $34.95 per person. Children 10 and under can eat for half price. The food options at the buffet will include waffles, pancakes, eggs, bacon and other items from Finley’s extensive brunch menu that is regularly served on Sunday mornings. In addition to the food options, a seat at the brunch table will earn you a complimentary Bloody Mary or Mimosa from the bar. 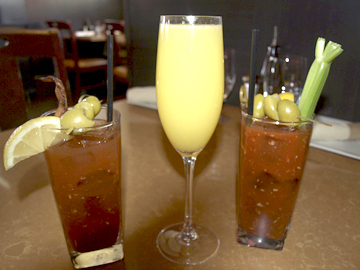 Diners can have access to unlimited Bloody Marys or Mimosas for an additional $18. The buffet will be served during three seatings at 11 a.m., 12:30 p.m. and 2 p.m. To make a reservation for one of these times call 631-351-3440. Jonathan’s Ristorante in Huntington village is offering a menu of dinner specials in celebration of Easter on April 21. Or Easter Dinner: Jonathan’s Ristorante (15 Wall St., Huntington) is offering a special Easter Dinner menu from 1 p.m.-8 p.m. on April 21. The menu includes six special savory dishes and a dessert. Starters include Pancetta and Corn Chowder with shrimp or Seared Sea Scallops with celery root puree and truffle vinaigrette. Main course specials include Sweet Water Prawns served with cannellini beans served with rainbow Swiss chard, or Braised Lamb Shank with potato puree and asparagus. The dessert is a Pine Nut and Chestnut Tart with zabaglione gelato. Jonathan’s regular dinner menu will also be available on the special occasion. To make a reservation visit Jonathansristorante.com or call 631-549-0055. Lessing’s Tries To “Do Good”: The Lessing’s Hospitality Group, which owns Finnegan’s in Huntington village and Sandbar in Cold Spring Harbor, are partnering this month with Island Harvest Food Bank for its “Do Good” initiative. Lessing’s team members donated their time to help plant and cultivate the Island Harvest Food Bank’s 1.8-acre “Giving Garden” in Brentwood on April 9. The company will also help fundraise for Island Harvest throughout the month, culminating on Earth Day, April 22, when Lessing’s will match 100 percent of the donations made to Island Harvest on Earth Day up to $5,000. Island Harvest’s mission is to help the 300,000 Long Islanders struggling with hunger and food insecurity. “Hospitality and giving back go hand in hand. Whether it be supporting a local cause close to our hearts or to our employees, cleaning the beaches, or helping those in need, it is what gives us a purpose,” Lessing’s VP Mark Lessing said. Vist Facebook.com/Lessingshospitality to make a donation during the “Do Good” campaign. IMC’s Brunch Burger proves everything’s better with bacon… and an egg. Bottles are popping and orange juice is flowing every weekend at IMC. The modern eatery known for exclusive meats wants to be your new brunch spot. The Huntington village restaurant is owned and operated by Imperial Meat Company, a Brooklyn-based a meat distributor with 22 years in the industry that’s given them prime selection of ingredients. In just over four years, the company’s Huntington restaurant has garnered a reputation with delicious dishes for dinnertime, and recently debuted a new menu they invite brunch-goers to enjoy. “Right when we open the doors, our mentality is that everybody is ready to give a warm welcome to anyone who comes in,” general manager Cesar Hernandez said. The brunch menu offers a variety of items for sweet or savory cravings from the raw bar, salads and sandwiches to sharing plates and breakfast classics. For months, IMC has been collecting feedback from customers and evolving brunch dishes. At first only serving brunch on Sunday, the morning meal has become so popular that IMC has expanded to Saturday. 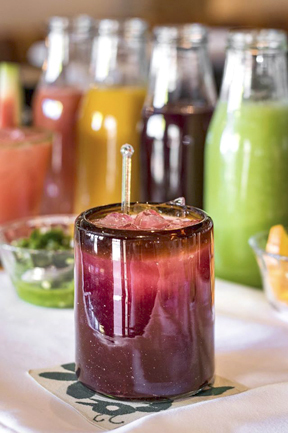 The bottomless drinks for two hours for $20 is what catches the attention of many diners who sip and socialize over a mimosa, bloody mary, margarita or red and white sangria. IMC is one of the only brunch spots in the area with bottomless specials. Imperial Meat Company has incorporated their signature meat, wagyu beef, into their brunch menu, putting their twist on breakfast staples. Wagyu comes from single bred Japanese cattle that are fed a special diet and massaged everyday for peak circulation and tenderness. IMC receives shipments of meat every day that is prepared and ready for the night. Steak n’ eggs ($24), a breakfast standard, is elevated by the wagyu skirt steak and IMC’s housemade chimichurri sauce. The soft meat melts in the mouth, while the Latin sauce kicks up the fresh flavor with hints of parsley and garlic. Accompanied by two eggs and french fries, it is a full feast. Get a taste of the rich meat by adding wagyu bacon as a side. The thick slabs of bacon are succulent and savory, sprinkled with pepper for a slightly smoked taste. The brunch burger ($17) is a true mix of breakfast and lunch. It has a little bit of everything, serving up a kobe beef patty topped with a fried egg. The juicy patty and egg ooze together as the burger is devoured, complemented by perfectly-cooked caramelized onions. 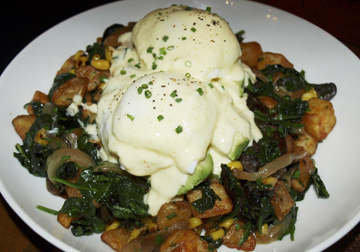 On the lighter side, the vegetarian hash bowl ($12) is stuffed with spinach, avocado, mushrooms, roasted corn, home fries and topped with poached eggs and hollandaise sauce. The dish is a favorite with many brunch regulars, who the staff enjoy getting to know over time. During brunch IMC also offers their dinner menu to give customers even more choices, like the velvety texture of the wagyu meatballs ($12). Hernandez said he greets every guest as if he is welcoming them into his own home. Hours: Monday, closed; Tuesday, 4-9 p.m.; Wednesday-Thursday, 4-10 p.m.; Friday, 4-11 p.m.; Saturday, 11 a.m. - 11 p.m.; Sunday, 11 a.m. - 9 p.m. Owner Paul Doyle established Roast Sandwich House in Melville in 2010 and has since opened additional locations. Lunch classics get the royal treatment at Roast Sandwich House, a shop thatstrivesfor the best and delivers with fresh ingredients. The Melville eatery, opened in 2010 by Paul Doyle and Joseph Cordaro, was crafted with care, to take the lost art of sandwich making and put a delicious spin on it. Roast Sandwich House serves an “upscale version of what someone would eat on a daily basis.” They roast their own meats, make all dressing and sauces in-house, source fresh produce, and have fresh, locally-made bread delivered every day. “If you want to make something the best, you gotta work really hard and put good things into it,” Doyle said. Roast Sandwich House serves a variety of sandwiches, wraps, salads, soups and sides concocted by chef Cordaro and staff. Cordaro takes pride in flavor combinations that he has developed over the years. A glance at the menu reveals a diversity of inspiration from various cuisines. Specialty sandwiches are packed with flavor. The corned beef Reuben ($11.99) is a classic eat taken to a new level with refreshing coleslaw and crispy beer battered onion rings. Stuffed into a marble rye roll and oozing with zesty Thousand Island dressing, there’s no shortage of tender, juicy corned beef. 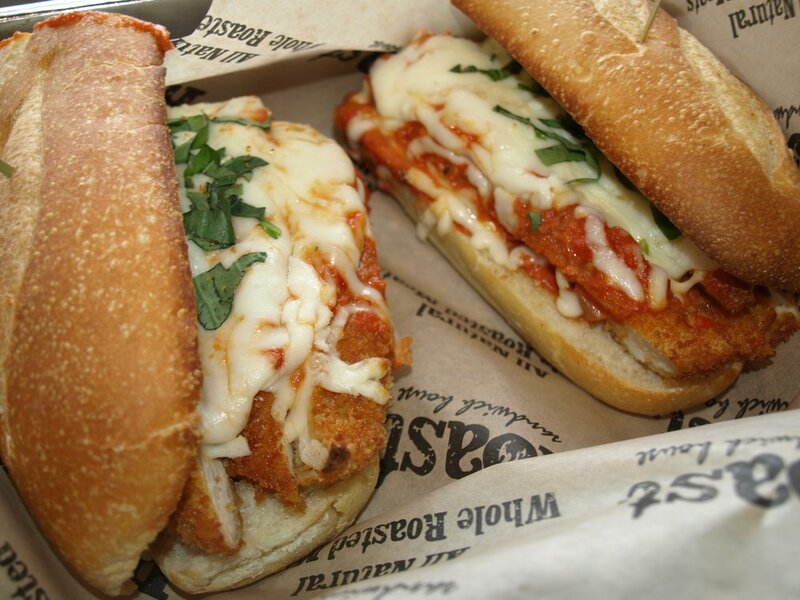 A popular choice, the chicken alla vodka ($10.99), delivers a rich Italian experience on a garlic semolina hero with savory strips of breaded chicken covered in melted mozzarella and parmesan. It’s not just the sandwiches that get special treatment. Antibiotic-free chicken makes the difference in the honey BBQ grilled chicken wrap ($9.50). The tangy southwest ranch that covered the well-seasoned, supple chicken and sharp cheddar, found harmony with the crisp bacon, along with fresh avocado and romaine. Angry turkey melt ($10.99) puts a healthy spin on a melt with lean turkey, avocado spread and tomato, plus Cajun bacon and pepper jack satisfy savory tastes. 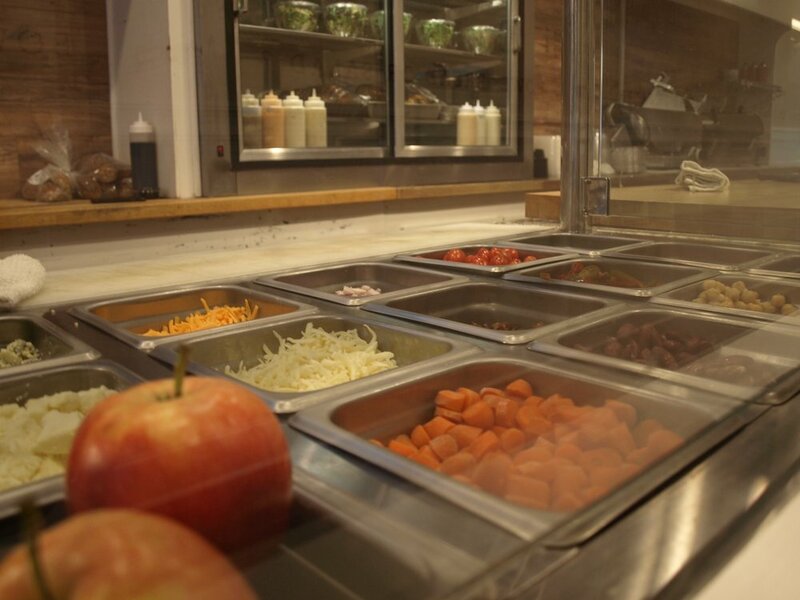 With everything made fresh to order, sandwiches can be customized. Roast Sandwich House takes pride in the house-made sides that each pack a punch of flavor. One sensational side — sweet chili crispy brussels ($4.99) have an unexpected taste. The crisp brussel sprouts are saturated in a sauce that kicks. Sweet potato tater tots ($4.99) and french fries ($4.99) also shine. The taters take a sweet route and the fries having a tempting, signature sauce. For those who want to sample more, the Pick Two for $9.99, offers a half-side, half-soup, half-salad, or half-sandwich. Roast Sandwich House opened in Hicksville and at the Nassau Coliseum two years ago. They hope to keep growing in the future. Hours: Monday-Saturday, 10:30 a.m. - 8 p.m., Sunday, closed. TASTES OF ITALY: Jonathan’s Ristorante (15 Wall St., Huntington) will pair a five-course Italian meal with authentic Italian wines during a La Spinetta Wine Pairing Dinner on March 20. Each course in the $125 prix fixe menu will be paired with a wine from La Spinetta vineyards. The winery is headquartered in the Italian town of Castagnole delle Lanze in the Piedmont region south of Turin. Some of the dishes featured in the special menu include a second course of Carne Cruda, or steak tartare with quail egg, toast and micro salad. The third course features Ricotta Ravioli with Morel mushrooms and truffle sauce. In keeping with the flavor profiles of northwest Italy, the fourth course is Brasato al Barolo. The traditional Piedmont-style pot roast is served with celery root puree and horseradish gremolata. The last dish on the menu is Torta di Pignoli e Castagne, or pinenut and chestnut tart with sabaglione gelato. The dinner kicks off at 7 p.m., and reservations can be made by call Jonathan’s at 631-549-0055. Eating For A Good Cause: The Northport-East Northport Special Education PTA is enlisting the help of area restaurants to help raise money to support students with unique learning situations in the school district. A portion of money spent at different restaurants during the month of March will be donated to the Northport-East Northport SEPTA. Every Tuesday this month, Anthony’s Coal Fired Pizza (6401 Jericho Tpke. Commack) will give a portion of the profits to the SEPTA, and Yogurt Fancy (737 Fort Salonga Rd., Northport) will do the same every Friday. Applebee’s (105 Veterans Memorial Hwy, Commack) will donate 10 percent of every check until 9 p.m., March 13, and between 11:30 a.m.- 11p.m., March 28 15 percent of total sales at Miller’s Ale House (88 Veterans Memorial Hwy, Commack) will be donated to the Northport-East Northport SEPTA. For more information and to find a full list of participating restaurants visit Nensepta.org. Winners of last years Nick Demidovich Chili Cook Off celebrate at the Huntington Elks Club. This years cook off is set for March 31. Chili Cook Off: Test your chili cooking and eating skills at the seventh annual Nick Demidovich Chili Cook Off at the Huntington Elks Lodge (195 Main St., Huntington). The event is hosted by the Elks and The Nickolas Demidovich Memorial Fund, which was created to help send local boy scouts to summer camp. 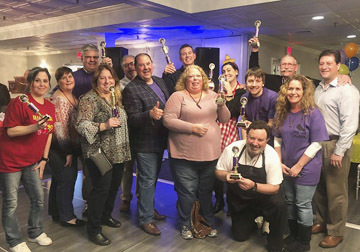 Last year the judges voted Kate and Jim Conquest as the best chili and the people’s choice award went to Janet Lombardo. Tickets cost $20 and include all the chili you can eat in several different categories, drink specials, a gift basket raffle and a DJ. Attendees can spend the afternoon tasting chili and deciding which is their favorite in categories ranging from most creative to spiciest. The event runs from 3 p.m.-7 p.m., March 3, and you can enter your chili or pre-purchase tickets by sending an email to Peter@PeterDemidovich.com. Drinks and conversation flowed, as bodies and delectable dishes quickly moved around Ruvo in Greenlawn, a packed eatery that pulsed with liveliness on Friday night. The first restaurant opened by DeNicola Brothers Concept in 2001, Ruvo Restaurant and Gourmet Store has garnered a reputation for serving appetizing Italian cuisine made from scratch every day. The restaurant takes its name after a town in Southern Italy, Ruvo, where the DeNicola family lived before coming to Long Island in the early 20th century. Abstract art adorns the walls of the restaurant, created by James DeNicola Sr. representing the beauty of the Italian town. The Greenlawn restaurant has also been referred to as Ruvo “West” since the brothers decided to open Ruvo “East” in Port Jefferson five years later. With remarkable success, the group has opened a total of eight restaurants on Long Island, including Del Fuego, NoCo and La Tavola. The original restaurant is not only an eatery but has a gourmet market in the back that sells fresh produce, mixed salads and menu items from the restaurant. This allows diners to take a bit of the restaurant home with them. Ruvo’s menu draws from the DeNicola’s roots in Italy, but has evolved over the years. 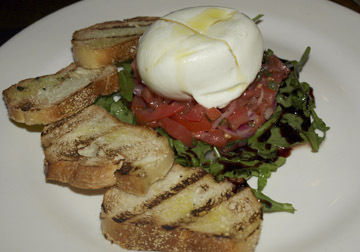 A signature Italian starter, the burrata cheese for two ($19) was heavenly. The creaminess of the cheese spilled out when cut into and blended with the light drizzle of olive oil to create a rich flavor. Topped on a piece of toasted bread with bruschetta, arugula and pine nuts, is quite the combo, as the freshness of the vegetables meets the softness of the cheese. Another interesting flavor combination, the maryland crab cakes ($13) are served with marinated beluga lentils and a chipotle-lime aioli sauce. The aioli’s flavor was unexpected but worked with the crab cakes. Chef’s board for two ($20) features sliced meats, a selection of asiago, parmesan, and provolone cheeses, fig jam, nuts, bread, olives and sun dried tomatoes. The bountiful spread asks to be dug into, as it overflows with tasty bites. The fig jam stood out with a fresh, natural taste. Freshness is crucial to the DeNicola family, they feel their cuisine represents “family cooking” that they would eat in their own home. Each day, Ruvo’s chefs are tasked to create a special menu. Last Friday featured steak tartare ($13) and osso bucco ($34). It was a treat to try the delicacy of bone marrow, served in the hollowed bone, that had a strange texture but sweet, fatty taste. Ruvo offers a prix fixe menu and lunch specials, where many of their scrumptious entrees, like the N.Y. shell steak ($34) and crispy ½-duck ($30) can be found. A menu staple, the frutti di mare ($32) with lobster tail, shrimp, clams, mussels and calamari with squid ink fettuccine, served in a spicy marinara sauce is a must for any fish lover. Finishing off with Italian sweets, the mascarpone cheesecake and baba au rhum ($8) with dark chocolate mousse and oreo banana ice cream were luxurious and melt in the mouth. Hours: Monday-Thursday, 11:30 a.m. - 9:30 p.m., Friday-Saturday, 11:30 a.m. - 10:30 p.m., Sunday, 11 a.m. - 9 p.m.
Eggs Benedict are a favorite on the brunch menu. A trio of cocktails: Bourbon Bloody Mary, Prosecco Mimosa, and Traditional Tito’s Bloody Mary. Chicken chop parmigiana… a classic take on a classic dish. 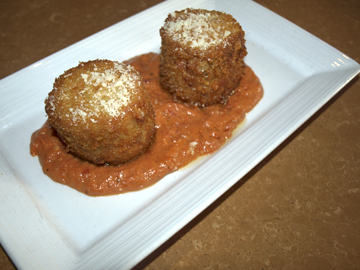 A pink sauce complements La Piazza’s cappelini Ckkes. ake a seat at La Piazza, an upscale urban eatery that puts their twist on Italian classics. First opened in Plainview over 25 years ago, the restaurant brought a long history of creating tasty dishes when it opened in Melville eight years ago. Chef Tommy Sexton and his partners deliver a sophisticated dining experience. With a background in Italian cooking and management experience from a young age, Sexton has shaped La Piazza’s menu as “modern American-Italian” with dynamic flavors. “You don’t have to travel into the city to have a great night out and experience that style and flavors,” Sexton said. The restaurant’s expansive menu offers a variety of pastas, salads, pizzas, meats and appetizers. An interesting take on an Italian starter, capellini cakes ($12.50), is similar in form to rice balls but deliver a richer flavor with pan fried angel hair pasta complemented by green peas, parma prosciutto, and mozzarella. The pink sauce below gave the dish a soft, creamy element that worked with the fried outer layer. For a seafood lover, the shrimp cocktail ($17) is not only beautiful, but the lemon wedge squeezed on the jumbo “Chop House” style shrimp with a traditional cocktail sauce is a decadent delight. La Piazza updates its menu every six months or so to introduce new plates while keeping customer favorites in play. “We are constantly developing new dishes and putting our own spin on old-fashioned recipes,” Sexton said. A classic wedge salad ($12) takes the word “wedge” seriously. A chunk of fresh, crisp iceberg lettuce is topped with beefsteak tomatoes, warm applewood smoked bacon and crumbled bleu cheese dressing. Another dish delivered with greens is burrata served atop a bed of spring greens with slices of toasted baguette. The creaminess of the cheese is in harmony with the greens and balsamic dressing. It truly was heavenly how rich it was. La Piazza also offers weekly specials, bringing back older dishes alongside new ones Sexton develops. The chicken chop parmigiana ($26) takes the Italian classic to the next level. The parmesan-crusted chicken breast was tender and juicy, while the mozzarella oozed on top. The “Old World” Italian sauce had a wonderful taste and consistency. 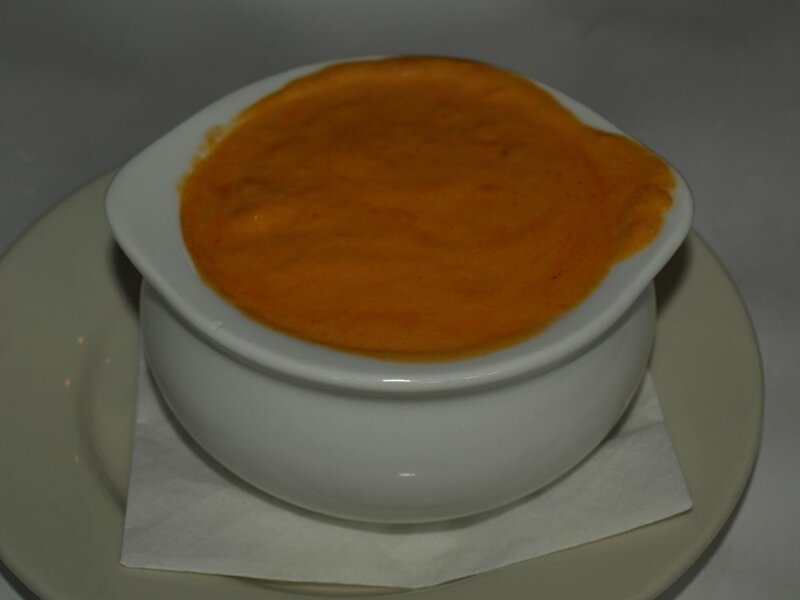 La Piazza prides themselves on making everything in house from sauces to soups to desserts. In May, Sexton introduced a full brunch menu at the Melville location. Although, some might not associate Italian and breakfast food together, breakfast with an Italian twist is anything but ordinary. La Piazza demonstrates that pizza really can be eaten for every meal with their uovo e prosciutto pizzette ($16). Cooked in a brick oven, the pizza is topped with melty fior di latte mozzarella, fresh eggs, prosciutto, red onion and arugula. “It’s breakfast with a little spin,” Sexton said. A popular order, eggs benedict ($14), hits a high note with its hollandaise sauce generously covering poached eggs, Canadian bacon and a toasted english muffin. The dish is united by its delectable flavor. 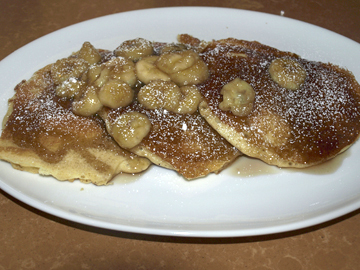 On the sweet side, La Piazza’s signature pancakes ($12) are thick, fluffy, and don’t let up on sweetness with syrup, bananas and powdered sugar. Also simple and delicious, a fresh fruit platter ($12) on skewers is accompanied by a honey-mint Greek yogurt sauce. Finally, the brunch occasion was complete with classic refreshments, like Tito’s bloody mary ($13) or prosecco mimosa ($10). The bourbon bloody mary ($14) has a little more bite with bold flavors and crispy bacon as garnish. Hours: Sunday-Monday, 11 a.m. - 9 p.m.; Tuesday-Thursday, 11 a.m. - 10 p.m.; Friday-Saturday, 11 a.m. - 11 p.m.
Sweet Hollow Diner’s jumbo burger tops a 5-oz. beef patty with bacon and cheese. Onion rings and curly fries complete the plate. Buffalo Chicken Wrap marries spicy chicken and bleu cheese dressing. Nova lox omelette with home fries and a toasted bagel. Challah bread French toast is topped with banas and whipped cream. Welcome to Sweet Hollow Diner! 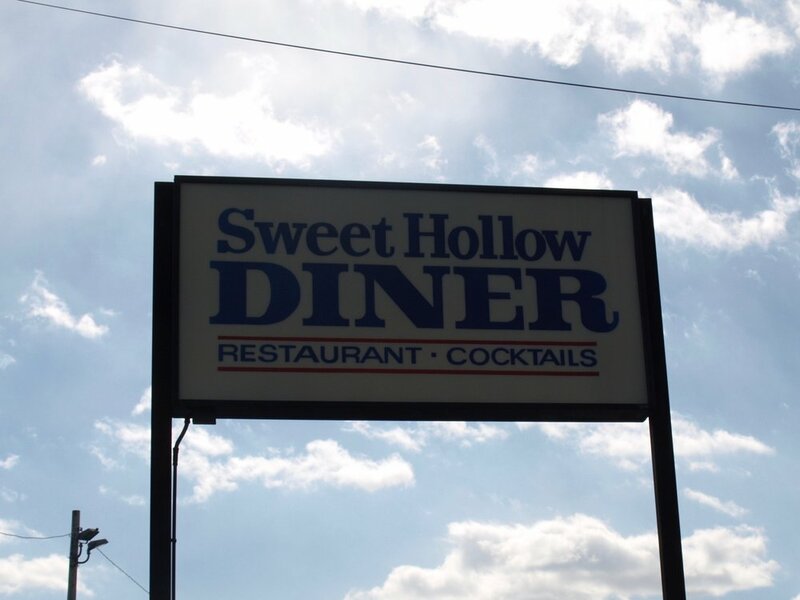 Who doesn’t have time for coffee and conversation at Sweet Hollow Diner? The buzz of chatter and smell of the fresh coffee filled the air, as Monday morning blues disappeared at Sweet Hollow Diner. The lively place was packed for a weekday, and after sampling their cuisine it’s clear why customers choose it for a quick pick-me-up. Whether they’re craving breakfast, lunch, dinner or dessert, Sweet Hollow Diner delights with an expansive menu that delivers on variety. Make breakfast sweet or savory, with an array of eggs, griddle specials and bagels. Or satisfy any night time appetite with an assortment of soups, sandwiches, burgers, wraps, Italian specialties, Greek delights, steak and seafood entrees, and munchies. Sweet Hollow Diner serves up classic dishes in a family atmosphere. Children’s drawings adorn the walls of the restaurant and give the old-school establishment a youthful touch. Longtime wait staff greet regulars like family, instantly recalling names and favorite orders. “It’s a friendly, neighborhood place, where everyone knows each other,” co-owner Chris Arvans said. Sweet Hollow has a history of warmth and community since 1977 when Arvans’ father opened the Melville diner. He previously owned another diner in the area but jumped at the chance to purchase the location. As the surrounding neighborhood grew up around them, Sweet Hollow Diner has evolved to meet the demand. Despite the chaotic scene that took over the restaurant on Monday morning, staff moved speedily like a well-oiled machine to make sure dishes came out piping hot. Nothing says breakfast like eggs, especially when they get a fun twist on bagels and lox. The Nova Scotia lox, eggs and onions omelette ($12.95) served with toasted bagel and home fries was everything it promised and more. It turned the classic on its head with eggs being the perfect protein that brought the meal together. The lox had a wonderful, light taste that found balance with the onions. 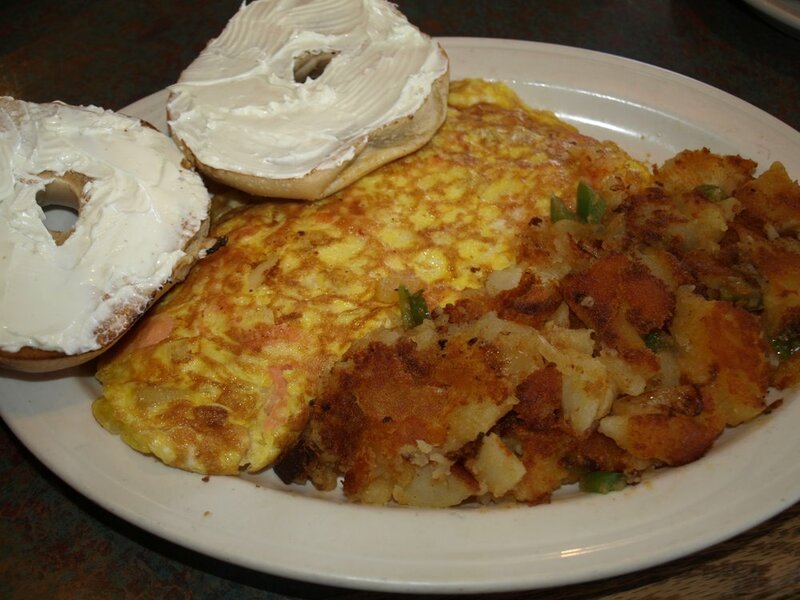 Sweet Hollow Diner omelettes have become a favorite with many, who enjoy the diversity of fillings. Another breakfast classic, Challah French toast with fresh bananas and whipped cream ($9.85) was a sweet sensation. The soft, spongy bread absorbed the thick syrup and oozed with sweetness, while the ripe bananas brought in a pure, natural flavor. Sweet Hollow Diner uses fresh ingredients to craft their entire menu. It is important to them that everything is made in-house. Instead of purchasing turkey slices from a supplier, the restaurant cooks and slices their own. No detail is neglected by Sweet Hollow Diner, which hopes to deliver a delicious dining experience every time. Even a simple wrap, like the buffalo chicken wrap ($11.95) served with French fries was a smash. The loaded wrap had a heaping amount of tender buffalo chicken, that was complemented by a tangy blue cheese dressing. Crispy fries tied the meal together. Sweet Hollow Diner delivers huge portions that often fill both a customer’s belly and a to-go box. The jumbo deluxe beef burger ($10.15) is quite the undertaking with a 5 oz. 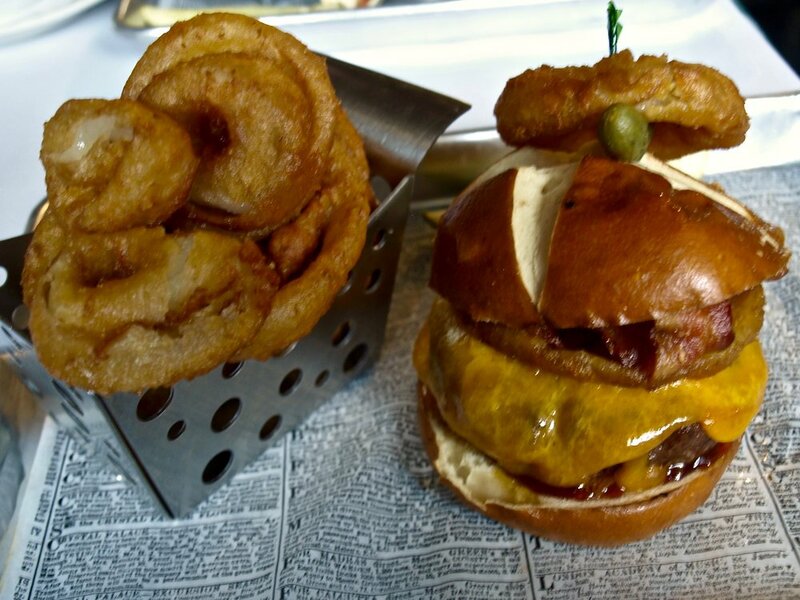 burger on a toasted bun stacked with bacon, onion rings, cheese, lettuce and tomato. The juicy burger was well cooked and superbly seasoned. Arvans describes the restaurant’s offerings as wholesome, comfort food. Hours: Sunday-Thursday, 6 a.m. - 1 a.m.; Friday-Saturday, 6 a.m. - 2 a.m. Whole Foods Market is set to open the company’s fourth store on Long Island in Commack on April 3. Whole Foods In Commack: Whole Foods Market is set to open the company’s first store in the Town of Huntington in April. Whole Foods, which is owned by the online retail giant Amazon, plans to hold a grand opening for the new store at the site of the former King Kullen location at 120 Veterans Memorial Highway on April 3. The King Kullen closed its doors in 2017. The Austin, Texas-based supermarket chain claims to “seek out the finest natural and organic foods available, maintain the strictest quality standards in the industry, and have an unshakeable commitment to sustainable agriculture,” according to the company website. Whole Foods was founded in 1980, and now has nearly 500 stores in North America and the UK, including other locations on Long island in Lake Grove, Jericho and Manhasset. Whole Foods is currently hiring employees for the Commack store. For information visit Wholefoodsmarket.com. Wild Game Dinner: The South Shore branch of New York Ducks Unlimited is hosting a Gourmet Wild Game Dinner at La Parma II Restaurant (452 West Jericho Tpke., Huntington). The six-course dinner and wine pairing event will feature dishes from game meats including duck, boar, elk, venison and ostrich. La Parma’s executive chef and owner Anthony Castelli will prepare the menu. Each dish will be paired with wines from Napa Valley-based Trujillo Wines. La Parma has been serving up family-style Italian dishes in Huntington for three decades, but the special game menu on March 11 from 6:30 p.m.-10 p.m. will pay tribute to the goals of Ducks Unlimited. Ducks Unlimited is a non-profit organization dedicated to the conservation of wetlands and associated upland habitats for waterfowl and other wildlife. The dinner will include a small silent auction and a few raffles to help support the conservation efforts of Ducks Unlimited. Tickets to the event cost $150 per person and include the six-course meal, wine parings, beer, water and soda. The dinner is limited to 80 people. For tickets and questions contact Joe Campanelli at 516-942-0426. Three-Course Comedy: La Piazza (512 Walt Whitman Rd., Melville) is set to host a night of “Laughter and Linguini” next month. The adult-only event will feature a three-course dinner followed by comedy show. The event kicks off at 7 p.m. on March 7 with an appetizer, entrée and dessert dinner from the kitchen of the classic Italian restaurant and wine bar. Dinner will be followed by the comedy performance hosted by Robert Altmann. The show features comedian John LaRocchia and Paul Bond is the headlining act. The comedy will feature stand-up and improve acts. Dinner and a show cost $79 per person. Seating for the event is limited, so comedy lovers are encouraged to call 631-425-0500 to make a reservation. Jumbo Shrimp Cocktail with BiVio’s housemade cocktail sauce. Pappardelle Bolognese with freshmade pasta and a rich, meaty sauce. Rib Eye Steak is served simply — with mashed potatoes and broccoli. An Italian classic is a BiVio classic — Fusilli with broccoli rabe and sausage. I The presentation may be red, white and blue, but it’s 100-percent Italian cheesecake. Get a taste for the finer things in life at BiVio Ristorante, an Italian eatery that boasts sensational, ever-changing specials and a welcoming wait staff. The restaurant, opened seven years this November, serves a variety of Italian-fused dishes from duck to fish to veal. Some of the staff have been there since the beginning and work to uphold a reputation for “attention to detail” service. Stop by on a weekend night and BiVio is a lively joint with drinks pouring and live music in the lounge, that can be heard throughout the restaurant. BiVio likes to support local talent by booking local musicians on Friday and Saturday night. They also host an “Oldies” dinner and show every other month, complete with performances and dancing from past eras. Or just pop by for a drink during their Happy Hour, Tuesday through Friday, 4-6:30 p.m. at the bar. Specials feature House wines, cocktails and cosmos for $6 and an assortment of bar bites for $7.95. BiVio is known for serving white wines, martinis and tap beer in a frosted glass to keep it chilled. The martini list has signature cocktails from The Appletini to a Chocolate Martini. With specials like these, it’s easy to see why BiVio is the spot many groups choose for their celebrations and events. “It’s a meeting place type of atmosphere, we’re accustomed to hosting a lot of groups,” Stevens said. Start off your meal with a selection of fresh Italian bread and raisin bread. Both were scrumptious and perfect for dipping in sauce or just olive oil. A few specials to check out when dining are the rib-eye steak with mashed potatoes and broccoli or the fusilli with sausage and broccoli rabe. Every day the chef makes fresh pasta by hand like fettuccine, pappardelle, lobster ravioli and fusilli. This freshness made all the difference with the sausage and broccoli rabe that came together in harmony, united by a light sauce with hints of garlic. Another special that switches with the seasons is the roasted duck. We were treated to this prime meat covered in raspberry glaze and sauteed apple slices with a side of wild rice. Served on the bone, the tender meat easily falls off. The apples give it a fruity, fresh taste that is balanced by the raspberries’ bittersweet tartness. Depending on the time, the chef will pair the duck a l’orange for a more citrus flavor. As you feast, an attentive wait staff, is constantly circling throughout the restaurant and helping one another out to make sure every table is satisfied. BiVio’s famous dish, pappardelle bolognese ($18.95) did not disappoint. The fresh wide fettuccine covered in their homemade meat sauce was bursting with flavor. The sauce was a perfect consistency, with a generous portion of ground beef. BiVio wants to make their customers happy and are willing to substitute or change menu items to their liking. 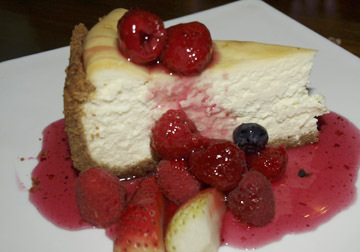 Finish off with an Italian sweet treat, like tartufo or cheesecake, that bring sweet to a new level. Hours: Monday, closed; Tuesday-Thursday, noon - 10 p.m.; Friday, noon - 11 p.m.; Saturday, 3-11 p.m.; Sunday, 3-9 p.m.
It’s All Croatian To Me: One of the newest restaurants in Huntington village will also bring a new cuisine to town. The sign above 46G Gerard Street now reads Konoba, the Croatian word for tavern. The new restaurant occupies the cozy spot recently vacated by Hush Bistro. Konoba will strive to offer diners “Croatian influenced Modern European menu in an elegantly designed space with bar, bench, high top, and lounge area seating,” according to the restaurant’s website. Chef Bruno Oliveira and owner Daniel Pedisich also run Bin 56 on Stewart Avenue in Huntington, and is a venture into a different style of food. The menu includes sharing portions of Shrimp and Crab Croquettes ($16) with lemongrass chili sauce or Fried Burrata ($11) served with spicy marinara and toast points. Some of the Croatian specialties on the menu include Hobotnica, or grilled octopus, ($23) served with tomato, arugula, red beet aioli and olive oil, or Cevapčiči ($18) featuring minced beef, lamb, pork, fries, red onion and ajvar mixed vegetable spread. For more information visit Konobahuntington.com. If you have to celebrate National Margarita Day on Feb. 22, Besito’s Margarita Tamarindo with passion fruit tamarind puree is a great way to do it. Margarita Day: It’s National Margarita Day on Feb. 22, and Besito Mexican (402 New York Ave., Huntington) is celebrating. The restaurant is offering two for one deals on all specialty margaritas from noon-3 p.m. The featured margarita, Margarita de Tamarindo, is worth of the holiday. It includes Milagro Reposado tequila, chile ancho reyes, tamarind-passion fruit puree, agave nectar, fresh squeezed lime juice and a chile piquin salt rim on the glass. From 4 p.m.- 6 p.m. Besito will host a complimentary tequila tasting featuring Roca Patron Tequila. The restaurant will also be handing out three $100 gift cards to margarita lovers who enter to win. Find out more information at Besitomexican.com. Food Films: Get dinner and a show at the Cinema Arts Centre (423 Park Ave., Huntington) when the community theater hosts the fifth annual Long Island Food and Film Feast. The event is sponsored by iEat Green and Slow Food North Shore and will include documentary short films focusing on different parts of the food system. Each film will be paired with a different dish created alongside that film. Guests will be served a dish after each film while listening to a speaker. The dishes include grass fed Turkish lamb or veggie meatballs, or vegan barbeque jackfruit sliders. The film “Farm to Pint” will be accompanied by North Fork Brewing Co. IPA and Lager. The event is designed to feature local food and the people who produce it. Tickets to the event cost $60 for members and $70 for non-members, and more information is available at Cinemaartscentre.org. Sushi for One ($29)… spicy salmon roll and sushi selection. Sashimi for One ($29)… an artfully presented selection of fresh sashimi. Kashi recently introduced fresh wasabi, that is grated at the table and offers an exceptional fresh and herbal flavor. Blue Point Oysters with Cajun Sauce ($11/six) al fresh and herbal flavor. Petite Filet Mignon ($14) appetizer. Kashi has garnered a remarkable reputation among diners in Huntington Village with exceptional flavors and service. 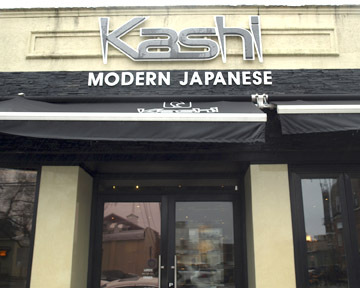 Opened eight years ago, Kashi of Huntington has proven to be such a success that four more locations have been opened in Syosset, Bellmore, Rockville Center and Stamford, Connecticut. The Japanese restaurant offers authentic cuisine, an expansive sushi bar and lounge and a hip vibe. Customers know and love Kashi for its welcoming atmosphere and delicious dishes. Kashi’s menu was created by the restaurant’s owner, a former sushi chef who crafted plates with an attention to detail for presentation and flavor. Since his departure to focus on the other restaurants, Kashi has encouraged their chefs to let their creativity flow and create their own dishes. For Poh, it’s crucial that customers are honest and offer criticism on new dishes, before they roll it out at all the restaurants. A new appetizer to hit the menu is Blue Point Oysters with Cajun Sauce ($11/six), a recipe with inspiration from Louisiana. The fresh oysters are grilled with a little bit of cheese and a sauce that kicks. The smooth texture remained while a zesty array of seasoning gave it a spicy and interesting taste. Even though, Kashi specializes in Japanese cuisine, the chefs are not afraid to pull inspiration from other cultures to heighten the flavor. Kashi’s Petite Filet Mignon ($14) is an appetizer to tempt your tastebuds. Served with fresh mashed potatoes and covered in wasabi butter, the steak was perfectly seasoned and cooked. It was juicy, thanks to the wasabi butter that melted in and gave a hint of spice without overwhelming the taste. 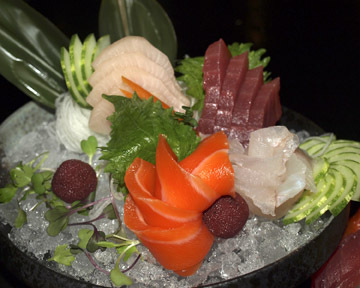 Kashi chefs take pride in their presentation, which is evident in the Sushi and Sashimi for One ($29). This gorgeous array of fish features pieces of tuna, yellowtail, salmon, and red snapper, along with spicy salmon sushi roll. Each piece was precisely cut and had a fresh and luscious taste. Heighten your sushi experience by ordering fresh wasabi to your table. Kashi recently introduced this decadent option as alternative to the typical wasabi served at restaurants made from a powder. Fresh wasabi comes from grating Wasabia Japonica root into a paste or chopping up and marinating fresh wabai with seasonings for kizami wasabi. Fresh wasabi offers a less burning kick and more of an herbal, smooth taste. “We brought in fresh wasabi because we wanted customers to taste the difference between this and typical wasabi,” Poh said. Freshness comes at a price, however. With wasabi root running $100 per pound, Kashi upcharges for the fresh ground wasabi, but for sushi fans it’s worth it. Hours: Monday-Thursday, 12-3 p.m., 4:30-10 p.m.; Friday-Saturday, 12-3 p.m., 4:30-11 p.m.; Sunday 2-10 p.m.
Quick, healthy and customizable, Rotisserie Banks wants to be your new lunch time pick-me-up with savory sandwiches and stuffed salads. The newly opened eatery specializes in high quality meats served in sandwiches and salads, quinoa and farro bowls, along with quinoa salad blends, a hot bar and pressed juices. It was recently opened by Brendan Banks, chef and partner owner of Burgerology, along with his partners and childhood friends, Anthony DiTore and Jonathan Viola. Banks has brought his expertise from Rotisserie Georgette, a revered French restaurant in Manhattan, to the table. “I’ve done rotisserie in the past and I noticed there’s not really a place to go for lunch around here, besides sit-down restaurants,” Banks said. It’s easy to grab food and go at Rotisserie Banks, who will craft your meal right in front of you. Although nothing is pre-packaged, Banks wants the process to be quick for those with limited time for lunch. They offer a variety of topping options to dress up a dish, including peppers, cucumbers, tomatoes, carrots, hard-boiled egg, shredded cheddar and mozzarella cheese, crumbly feta and blue cheese, carrots, apples, avocado, bacon, kidney beans and chickpeas. But the crown jewel is without a doubt, the rotisserie. Banks feels the quality of their meats is what will make them stand out. Starting with a base of a quinoa bowl and rotisserie chicken ($12), you can go wild with your flavors. Or substitute farro, an Italian whole grain. We tossed on shredded mozzarella, cherry peppers, chickpeas, and chipotle aioli dressing. With a heaping portion of quinoa, all the elements mixed together provided an appetizing hodgepodge, while the chicken shined through as succulent and tender. Banks sources his chicken from a Canadian farm that allows the animals to roam free. “If I cut it up right now and pulled the breast off, it’s just the most juicy chicken,” Banks said. If you’re looking for a fresh concoction, the restaurant makes daily blends, like the honey dijon chicken quinoa salad and turkey coleslaw. Their salad bowls are stuffed to the brim with hearty ingredients. A salad with grilled chicken ($12), shredded mozzarella, carrots, tomatoes, hard-boiled egg and chickpeas, topped with a balsamic vinaigrette is a healthy option that still satisfies. “Everyone wants something different in their salad, so we let them dictate what they want… It’s fun and creative. Instead of just getting a Caesar salad, you get to have fun creating it,” Banks said. The customization doesn’t stop there, any sandwich can be designed to your liking from the meat to the toppings to the dressing. Or give one of the signature sandwiches a taste. The barbecue turkey melt ($11) is rich and flavorful with juicy turkey and oozey cheddar cheese. Banks creates the “melt” by toasting the sandwich with a blowtorch, a unique method that gets the job done. For Rotisserie Banks it’s all about the meat. Banks hopes to eventually be cooking a variety of meats in the rotisserie, like sausage, porchetta and pastrami. For now, it’s chicken, turkey and sliced roast beef. After tasting the roast beef melt ($11), it was evident why the rotisserie is superior. The sandwich, packed with meat, feels like comfort and warmth to the tastebuds. “I want customers to taste it and say, ‘Why does this meat taste so good and different?’ It’s cause it’s high quality meat, on a rotisserie,” Banks said. Rotisserie Banks welcomes all for their grand opening on Saturday, Jan. 26, all-day. Hours: Open every day, 11 a.m.-8 p.m.
Winter Market: As the temperatures drop below freezing, local goods will still be available in Huntington. The Huntington Winter Farmers’ Market continues each Sunday, 9 a.m.-1 p.m., through March 31, indoors at Jefferson Primary School (253 Oakwood Road, Huntington). The market is in its seventh season, and affords local businesses the opportunity to sell their products locally. The indoor space improves access for consumers to obtain local, sustainable and organically produced food in the season when these products are often harder to come by. Along with products for sale, the market also hosts local musicians and family-friendly activities. Stop by the market to try anything from pickles to fresh baked goods handmade by local vendors. For more info, visit Longislandfarmersmarkets.com. The event begins Jan. 27 and runs until Feb. 3. Visit Longislandrestaurantweek.com for more information and a full list of participating restaurants. Chocolate Sounds Good: The Whaling Museum and Education Center (301 Main St., Cold Spring Harbor) is helping to keep the Long Island Sound “love-lier” with a champagne and chocolate event on Feb. 7. Attendees can enjoy a glass of champagne and chocolate tasting while Heather Johnson, executive director of friends of the bay, shares information on how to give some love back to the water to keep a harbor-healthy home. The event is supported by the Long Island Sound Study, a grant program designed to encourage programs that promote the restoration and protection of the Sound. The event runs from 6:30 p.m.-8:30 p.m., and tickets are $25 or $15 for members. Visit cshwhalingmuseum.org for more information. Chef Guy Reuge plates up a dish in the kitchen at Sandbar on Main Street in Cold Spring Harbor. A Toast to the Chef… Diners at Sandbar (55 Main St., Cold Spring Harbor) can raise a glass and toast Executive Chef Guy Reuge and his 10 years as chef de cuisine at Lessing’s Hospitality Group. Reuge began his cooking career in Orleans, France, and first joined the Lessing’s team in 2009 with the opening of Mirabelle Tavern in Stony Brook. 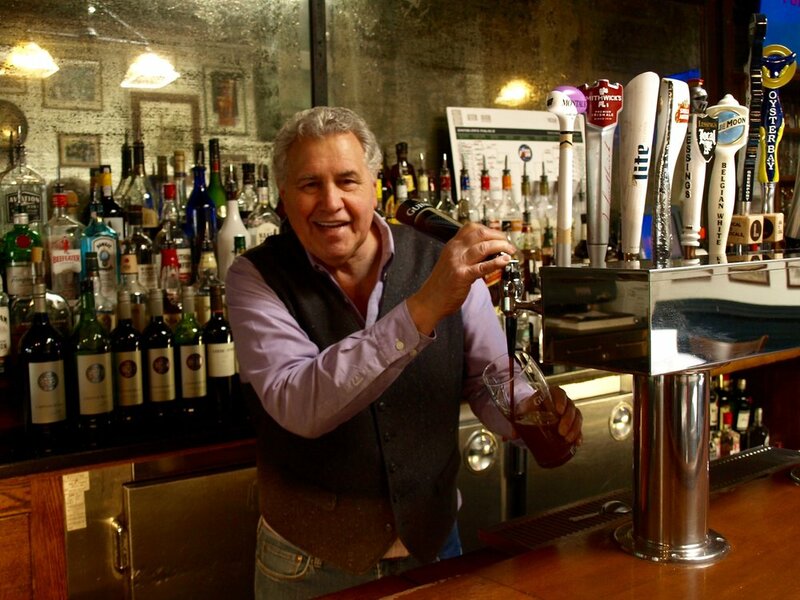 In 2015, Reuge spearheaded the creation and concept of the menu at Sandbar. Reuge’s expertise in the kitchen has been recognized during his time at Lessing’s; he was named a semifinalist for best chef in America by the James Beard Foundation in 2009, 2010, 2014, 2015 and 2016. Reuge was invited last February to cook an exclusive land and sea meal at the James Beard House in New York City. Guests who eat dinner at Sandbar between Jan. 15 and Jan. 31 will be able to toast Chef Guy with a free glass of champagne. 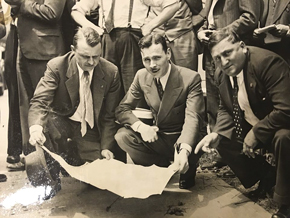 Lunch and Learn… The Huntington Historical Society is offering an opportunity to learn some Long Island history over lunch at Macs Steakhouse (12 Gerard St., Huntington). Speaker Cyril Smith will take attendees back in time to 1917 with the story of Camp Mills in Mineola. Camp Mills was constructed as a military instillation for World War I soldiers, and is the birthplace of the 42nd infantry division of the National Guard. The camp was named after Major General Albert Mills and served as the headquarters of the famed “Rainbow Division.” The event will also feature a three-course lunch prepared in the kitchen at Macs. The lunch runs from noon-2 p.m. on Jan. 24. Tickets are available at Huntingtonhistoricalsociety.org. Panera Donates to Cancer Society… Panera Bread aided in the fight to cure cancer in November when the company donated a portion of the proceeds for stores across Long Island to fund research for better treatments for those fighting blood cancers. For a week a portion of the money from all delivery and rapid pick-up orders at 30 locations on Long Island, including the East Northport, Huntington Station and Huntington village stores, was donated to the society to benefit those diagnosed with leukemia and lymphoma. Panera, owned by Doherty Enterprises, presented a $5,206.06 check to the Leukemia and Lymphoma Society. The society works to cure leukemia, lymphoma, Hodgkin's disease and myeloma, and improve the quality of life of patients and their families. The check was presented on Dec. 21 at the Panera Bread in Mineola. 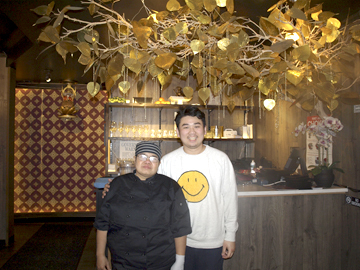 Owner Pattarachai Subworaphon, known as Louis, has updated Ra-Cha’s current menu with the help of chef, Phannee Prungsak, known as Marki. Crispy noodle in Mee-Krob ($12) brings crunch to a dish of shrimp, tofu, crispy shallots, and bean sprouts with sweet and sour sauce. Ra-Cha Combo appetizer ($16.95) gives everyone at the table a taste. 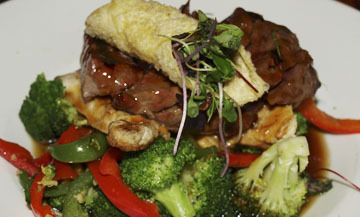 Tamarind Honey Duck ($24.94) is plated with broccoli and crispy noodle. Chilean Sea Bass ($29) mixes sweet, spicy and sour together with bok choy and sweet chili sauce. Pad Thai with Mixed Seafood ($20.95). Feel transported to Thailand when dining at Ra-Cha Thai Cuisine, an authentic eatery that has mastered the bold flavors of the eastern country. The restaurant rejuvenation comes with a menu revamp that adds flavorful new dishes to the lineup. Over 15 new plates came from Louis’ aunt and chef, Phannee Prungsak, known as Marki. She learned the recipes and secrets of Thai cooking from her mother and brings more than 20 years of experience cooking across the country. Mee-Krob ($12) is a tempting appetizer that mixes shrimp, tofu, crispy shallots, and bean sprouts with crispy rice noodle, topped with a sweet and sour sauce. 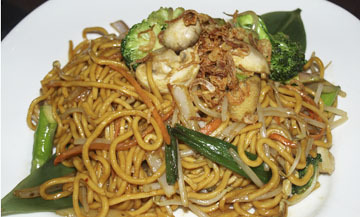 The crispy noodle gives a perfect crunch while the sauce brings a dynamic flavor. 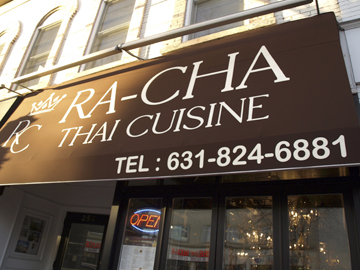 Many believe Thai food is packed with spiciness but at Ra-Cha it’s all about balancing flavors. Louis hopes that those who experience his culture’s food, will fall in love with it. Thai Iced Tea ($4) and Lychee Juice ($3) are unique and refreshing beverages that will start that happy feeling. 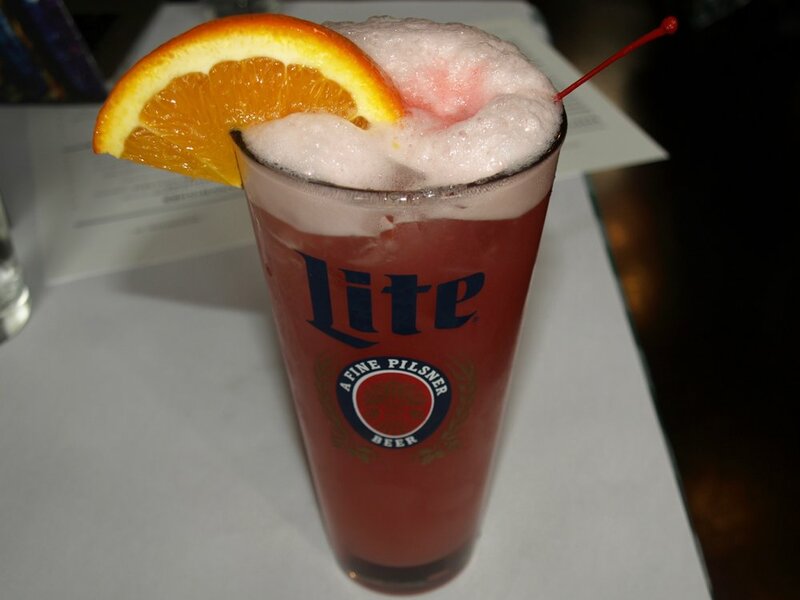 The iced tea is creamy and sweet, while the juice captures the light, floral taste of lychee in a bittersweet fashion. Marki emphasizes an authentic taste of Thailand in her dishes. A plate meant to be shared, Ra-Cha Combo B ($16.95), is an assortment of enough pot stickers, shrimp sa bai thong, chicken wings and chicken satay to give everyone at the table a taste. Step outside your comfort zone by giving the Tamarind Honey Duck ($24.94) a try. Crispy duck doused in a tamarind honey sauce that makes licking your plate seem sensible is accompanied by crispy noodle and broccoli. Marki incorporates fresh tamarind in her glaze to maximize its tango of sweet and sour. Fresh fish entrées feature the Chilean Sea Bass ($29) and Salmon with Green Curry ($21). The grilled sea bass mixes sweet, spicy and sour together with bok choy and sweet chili sauce. The curry underneath the salmon is exceptional and rich with the flavors of basil, coconut milk and Marki’s secret ingredient. With exuberant plates and Ra-Cha’s elegant atmosphere of chandeliers and gold accents, diners can feel royal and relaxed. “We want everyone to feel like they’re at home and just eating with their family,” Louis said. Their expansive menu offers numerous dishes to explore, like Pad Thai with Mixed Seafood ($20.95), a stir-fried rice noodles with egg, shrimp, bean sprouts, tofu, peanuts and scallions. Volcano Roll with the restaurant’s exclusive “kudo,” ($12.75). The classic General Tso’s Chicken ($15.50). Spicy Bean Red Snapper Fillet ($21). Sushi chef Jason He oversee the fish preparation at Hikudo. 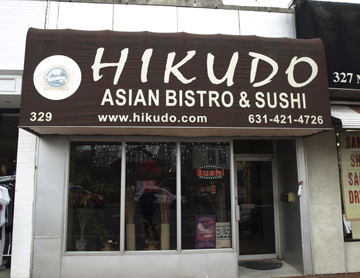 Hikudo opened more than a dozen years ago on Huntington’s Main Street. It’s all about fresh at Hikudo in Huntington Village, an Asian bistro that incorporates flavors from all over the Far East. Hikudo has maintained its residency in the village for over 12 years. Owner Lucy Qiao was looking to bring a taste of Asia to Huntington and Hikudo’s expansive menu offers soups, salads, sushi rolls, sashimi, wok dishes, noodles, poke, Japanese teriyaki dishes, Chinese classics, and Asian desserts. He has over 20 years experience as a sushi chef, previously working at a Japanese restaurant in Oceanside. He has brought this experience to the table, curating plates packed with flavor and crafting sushi sensations. His knowledge of multicultural recipes has helped to develop the menu as a “melting pot” of foods. Walking into Hikudo, you may feel transported to a tranquil place with zen music lightly playing and greenery all around. The atmosphere is a relaxed one. 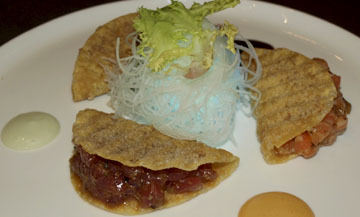 For many regulars, Hikudo is an oasis where they can indulge in their favorite dish or sample their extensive menu. A favorite is General Tso’s Chicken ($15.50), deep-fried and doused in a sauce that hints of sweet and spice, it is accompanied by fresh broccoli and white rice. Their dish puts take-out to shame, mastering a glaze that is neither greasy nor gooey, but rich and thick. Try it with the beloved Hot and Sour soup. If going off the beaten path is your thing, Hikudo can take you there. Spicy Bean Red Snapper Fillet ($21) is a Thai dish that brings the flavor of broad bean and spiciness together in harmony. The fish was cooked impeccably — soft on the inside while encased in a crispy shell. It did have a bit of a kick to it, so spice lovers will delight, but it didn’t overpower the meal. 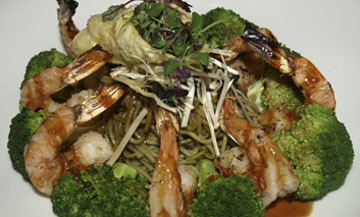 Hikudo works to update their menu with fresh dishes often and offer new specials daily. They recently introduced two new rolls, the Yummy roll and Pink Lady roll. Hikudo sources their fish from a Japanese wholesale company that they trust to deliver them the freshest fish. If you’re looking for a sampling of their fresh fish, look no further than the Sashimi Regular ($20), a 12 piece assortment of salmon, yellowtail, tuna and white tuna. Each fish had a lush taste with a wonderful silky texture. A specialty roll bursting with flavor was the Volcano Roll ($12.75) with Hikudo’s original “kudo” — chopped crab, shrimp and fish eggs — topped with fresh salmon and spicy sauce. When fish is delivered, Jason will conduct an elaborate process to cut and store the fish to ensure maximum freshness. Hours: Monday-Thursday, 11:30 a.m. - 10 p.m.; Friday-Saturday, 11:30 a.m. - 11 p.m.; Sunday, 4-10 p.m.
Bruschetta pomodoro ($9.49) is served in an oversized martini glass. Braised short rib ($21.99) in a red wine dijon reduction with roasted carrots, radishes, and potato wedges. Seared wild salmon ($17.99) on a cauliflower “couscous” dressed with mint, tomato, red onion, cucumber, and lemon vinaigrette. Bar Louie’s chocolate cake ($9.99) is a heavenly way to end a meal. 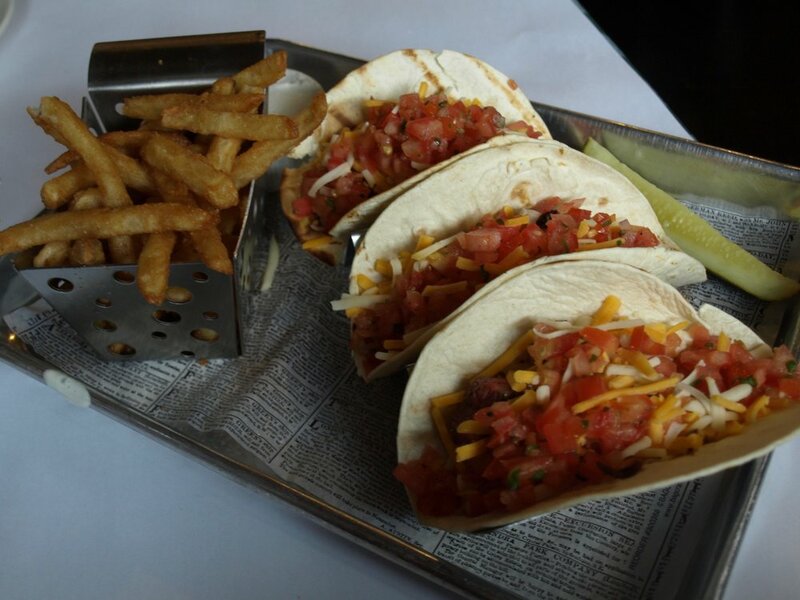 Friendly, modern and hip, Bar Louie wants to be your neighborhood hangout. A local pub is taking bar food to the next level and wants to be your next hangout spot. Bar Louie of Commack has earned a reputation as a place to have a casual drink – or a few more – with a sociable staff, a variety of games to play and nightly specials that draw in crowds. “Nobody wants to go to a bar and be stiff. It should be comforting, welcoming and feel like home,” manager Jesse Eyrich said. The crew at Bar Louie captures this home-like atmosphere by allowing themselves to be candid and casual with bar-goers. Their goal is for people to have fun and enjoy themselves. The bar recently added dartboards and a pool table to encourage mingling amongst friends and strangers alike. “Anywhere you go you have some regulars, but I can’t even tell you the last time someone walked in who didn’t know Phab,” Eyrich said. Weekly specials and happy hours brings in regulars along with new faces who can’t pass up deals like Tuesday’s $5 specialty burgers, Thursday’s wholly crafts, or half-priced apps and flatbreads for happy hour. But it’s not just the deals that are appealing. Bar Louie has crafted its own twists on pub food that bring comfort to your taste buds while tickling them with unique flavors. Appetizers are perfect for sharing with the entire table. Bruschetta pomodoro ($9.49) is served in a huge martini glass with pieces of garlic bread fanned out and ready to be topped with a mix of tomato, basil, garlic, olive oil and red onion, topped with parmesan cheese. Veggie lovers will be delighted by roasted veggie flatbread ($12.49) covered in fresh spinach and artichoke sauce, tomato, mushroom, balsamic onions, and a mozzarella and provolone cheese blend. It is one of their four delicious flatbreads offered, along with a seasonal option. Bar Louie is looking to revamp the menu in the year ahead with brand new dishes that emphasize tasty flavors. The kitchen has been testing various dishes, like a braised short rib ($21.99). The ultimate comfort food, the beef short rib is so soft, a knife isn’t necessary and it melts in your mouth. Doused in a red wine dijon reduction, the rib, along with roasted carrots, radishes, and potato wedges, come together in harmony. “You have so much softness, Adam and Eve were made from this type of rib,” Phab joked. The seared wild salmon ($17.99) will also take your taste buds on a journey. Served atop a spicy cauliflower “couscous,” it is dressed with mint, tomato, red onion, cucumber, and a drizzle of lemon vinaigrette. These lighter dinner options will allow a person to dance or play a game after munching. It’s easy to enjoy their six layers of chocolate on chocolate cake ($9.99), a heavenly confection. Price Range: Appetizers, $8.99-$17.49; Salads, $8.99-$10.99; Plates, $10.99-$21.99. Hours: Sunday-Saturday, 11a.m. - 2 a.m.